So you’ve decided to take the plunge and enter the world of online dating but have heard horror stories from friends and family that would cause Stephen King to have nightmares. Plus you do not know where to begin as there are so many dating sites your head spins like a merry-go-round. 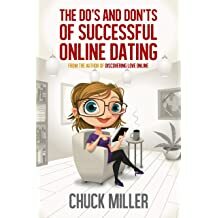 Then Discovering Love Online, Love May Be Closer Than You Think by Chuck Miller is the practical resource you need in preparing for an enjoyable, successful adventure. In addition to his online dating experience, which led to him find his current wife Deb, Chuck was a singles ministry director for a number of years. His book is not only based on experience but a lot of research as well. Chuck takes the guesswork out of what to do and where to begin. He does this by assuming you know nothing so he covers the basics, including grooming, manners, first impressions, and where to go on dates among numerous other topics. He has a Master of Divinity degree so his Christian faith is mentioned throughout the book. Miller explains how his beliefs apply to dating and why his conservative values will help you when it comes time to meet someone in person. While the book is filled with advice about online dating, it is also filled with age-old adages that are still true. Because how can you know what to look for in a spouse if you do not know who you are, what you like and what your goals are in life. Part of this process may include personality assessments and even considering the advantages and disadvantages of staying single. There is nothing wrong with staying single as God designed everyone differently. Part of the process of knowing yourself is determining your list of non-negotiables. These are items that are deal makers or breakers. For example, potential non-negotiables could include: faith, whether someone is an animal lover, the political party they are affiliated with, are they a smoker or a drinker, and do they believe in tipping the pizza driver well. This is just a partial list what could be non-negotiables. Your list of non-negotiable items will be different from anyone else’s since we are all unique individuals. Chuck provides a brief summary and pros and cons, starting with Chemistry and ending with Zoosk, to help you determine which one is right for you. He does recommend choosing a paid site because people on those sites tend to be looking for long-term relationships. Without passing judgment, the clientele on paid services tend to be more earnest in their efforts and more thorough and accurate in creating their profiles. I’ve experienced it first hand and so have many others seeking love online. This is the person with whom you hope to spend the rest of your life. Once you’ve chosen a site, Chuck even tells you how to set up a winning profile. This includes what information to share and what not to share, photograph advice, answering questionnaires, and storytelling advice for your profile summary. There is no room for embellishment or flat out lying in your profile. It will come back to haunt you at some point in time. Be honest in who you are and what you do. Also, he mentions that incomplete profiles are also not acceptable. Photo’s need to be there and be current, profile questions answered and basic information filled in. Your dating profile is your online dating resume. You may wince and groan, but it is true. “Interviews” are granted based on the information contained in your profile. So if you do not want to end up in the shred pile, fill out your profile completely. Chuck admits there are risks involved in meeting people you met online and encourages you to be extremely careful selecting people to meet offline. However, he acknowledges these risks apply to people you are introduced to by friends, family or that you meet in the produce section or any other public place. He also gives you tips on what to look for to determine a possible unsavory character whether they intend to take your money, cause physical or emotional harm. Be prepared for anything. Have friends or family at the same coffee shop if you choose to meet there. You can never be too careful. This is just a tiny bit of advice covered in Discovering Love Online. This book will help prepare you to find that special someone with whom you want to spend the rest of your life. Chuck did a wonderful job combining his faith, age-old adages, and advice in his book. I highly recommend this book if you or anyone you know are considering online dating. If you have any questions, his information is listed below. Still not sure if this book is for you? Then check out The Do’s and Don’t of Successful Online Dating – FREE through Valentine’s Day. 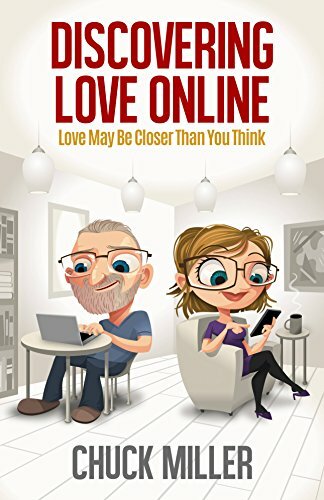 It is a 38-page Kindle booklet that will help jump-start your search, give you an idea of the author’s writing style and information that you will find in Discovering Love Online. $2.99 through Valentine’s Day (Kindle). Author’s Note: Chuck Miller and I met when he attended GriefShare after his first wife’s death. I’ve seen him go from mourning to joy and that joy includes finding his current wife Deb (an absolute sweetheart) via online dating. Disclaimer: I purchased the Kindle version and was given a free autographed copy of the book in exchange for an honest review. All links are non-affiliate.